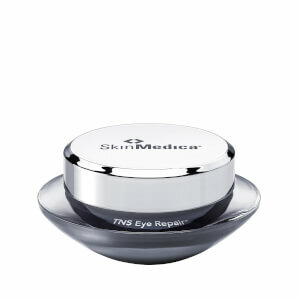 SkinMedica TNS Illuminating Eye Cream® is a remarkably effective, yet gentle eye cream. It immediately smooths and brightens the sensitive tissue surrounding the eyes, while continuously improving the appearance of dark circles. It diminishes the appearance of fine lines and wrinkles, helps reduce puffiness and discoloration and wears well under makeup. TNS Recovery Complex are the only products containing a professional concentration of patented NouriCel-MD. NouriCel-MD contains an array of natural human growth factors and other compounds that help diminish the visible signs of aging, such as wrinkles, fine lines and uneven texture. Ideal for those desiring to naturally firm and condition eye area. 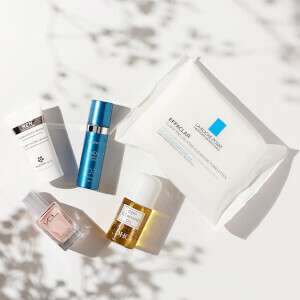 Human fibroblast conditioned media (TNS) are physiologically balanced, naturally secreted and stabilized growth factors blend that helps improve the appearance of fine lines, wrinkles and overall skin tone and texture. Hydroxysuccinimide and chrysin reduces the appearance of dark circles. Boron nitride optimizes the optical diffusion effect of light, which lessens the visibility of dark circles and discolorations to enhance skin appearance. This eye cream goes on nicely and seems to retain some moisture during the day. I haven't really seen that much difference in the smoothness under my eyes, but willing to try it for a while. Any product that has Skin Medica’s name on it is excellent especially this eye serum. You can really tell a difference from the initial use to days following and each day thereafter. For older women I would suggest using this product. I love this eye cream, I can't go anywhere without it. It brightens and de-puffs my eyes. I use this in the a.m. and the TNS Eye Repair at night. Love Skin Medica's product line, I'm lost without both eye creams but this one wakes me up! Watch your sleepy circles disappear! I always use this eye cream, and it is the best. I bought this for my husband Chris, and is the only eye cream he will use! Thank you! I got this for my husband about 2 weeks ago, and that is the only eye cream he will use! Loving this eye cream under my makeup, so hydrating!!!! I love the consistency of this product and that it has no odor. I haven't noticed my eyes looking brighter or the dark circles reduced but mine are pretty bad. I do like how hydrating and creamy this is without being goopy and I feel like it does a good job of moisturizing the area. I really like the pump and the subtle illumination it gives. Glides on smoothly with no burning or stinging on my sensitive eyes.